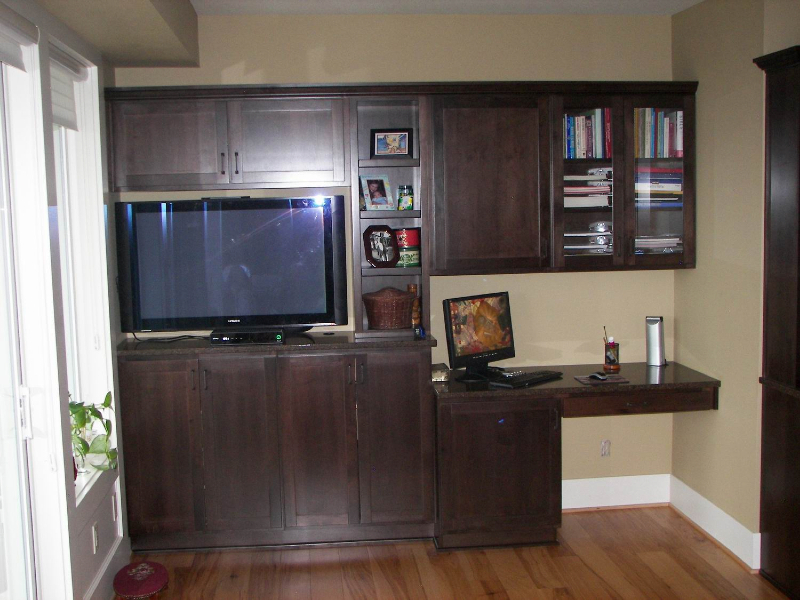 This was a big office and Entertainment Center remodel in Vancouver Washington. 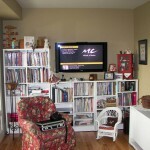 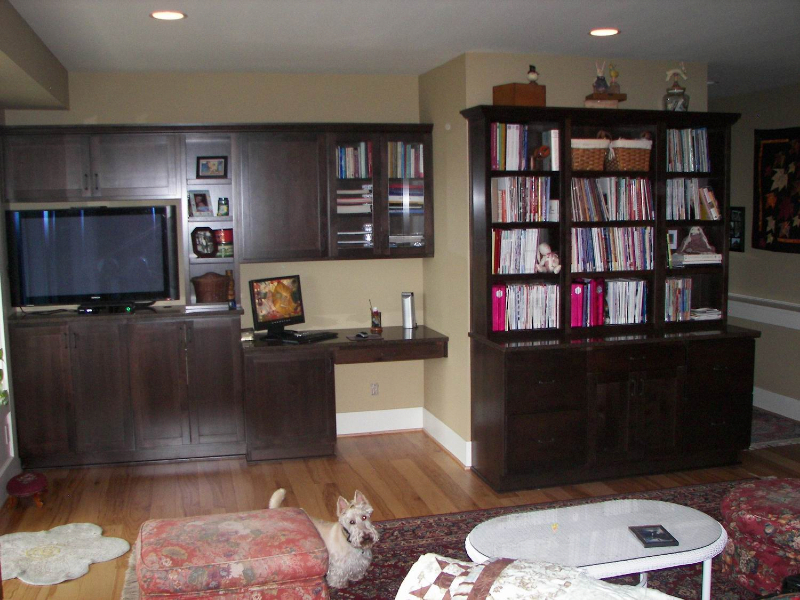 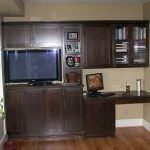 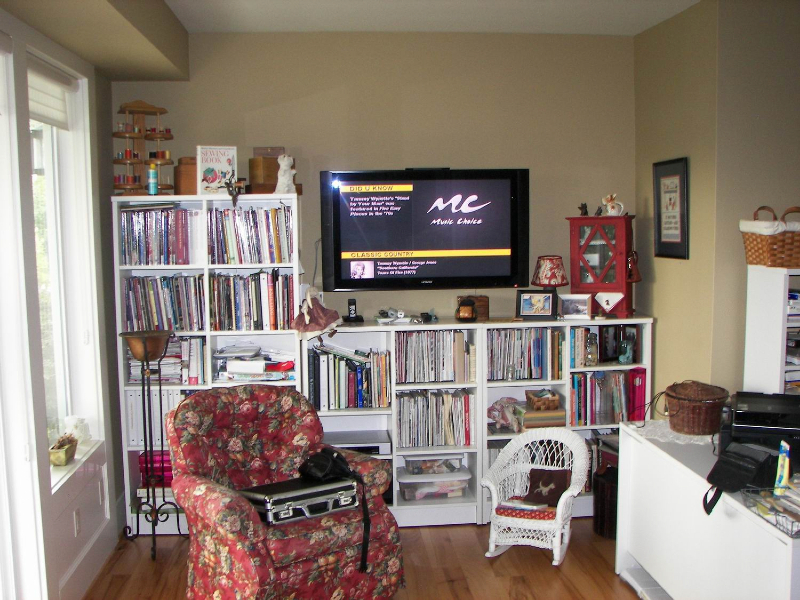 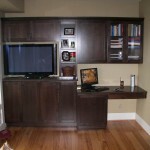 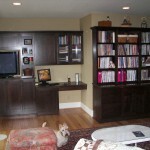 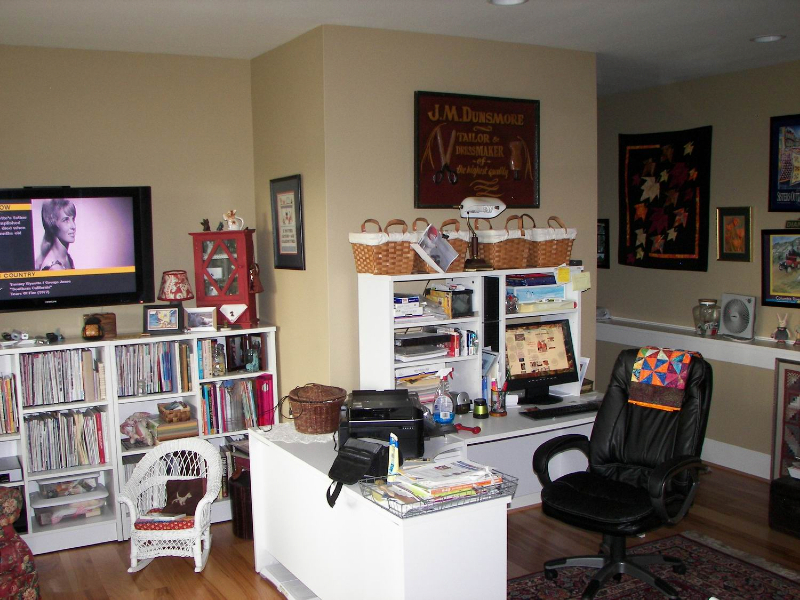 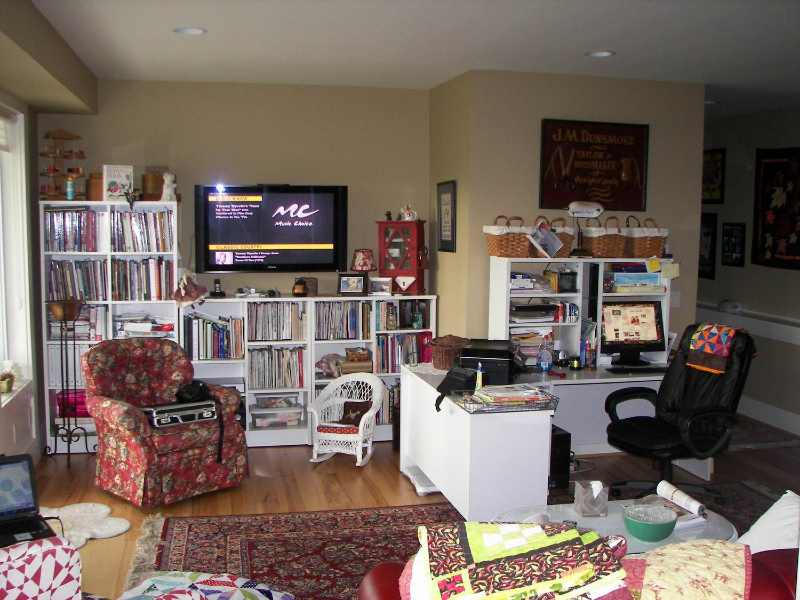 We took her existing space and made it into a very organized Entertainment center and office. 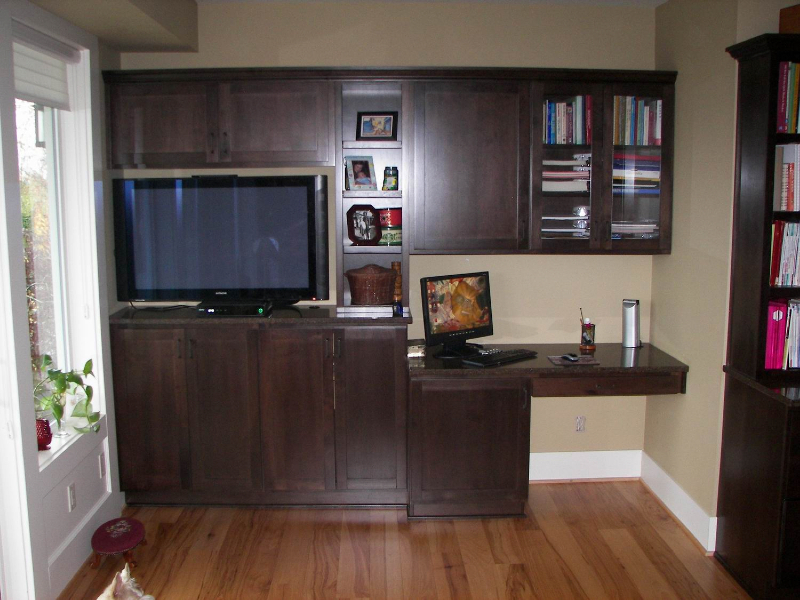 The cabinets are European Beech, which is a very “Green” product because the trees are grown as a crop rather than cutting down forests! 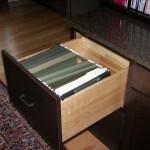 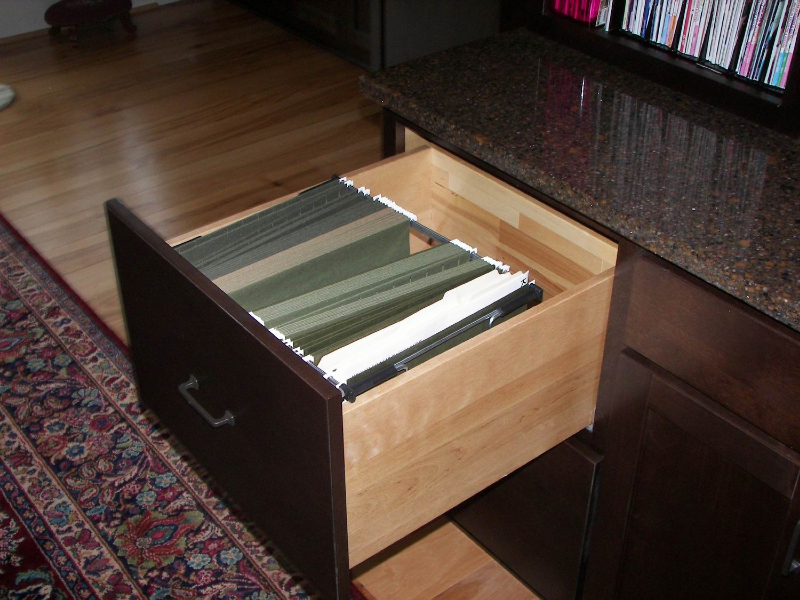 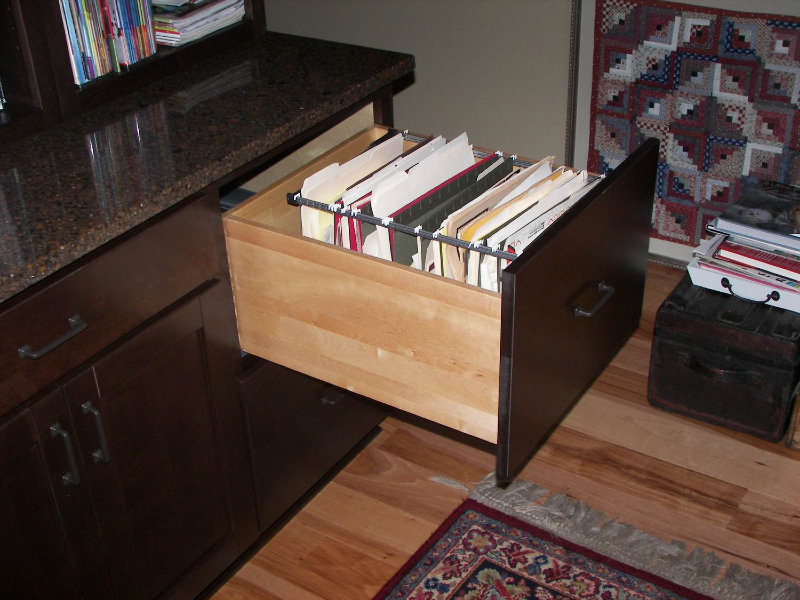 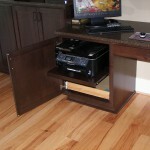 We included a printer pull out, file drawers, a space for the Big Screen TV and its components! 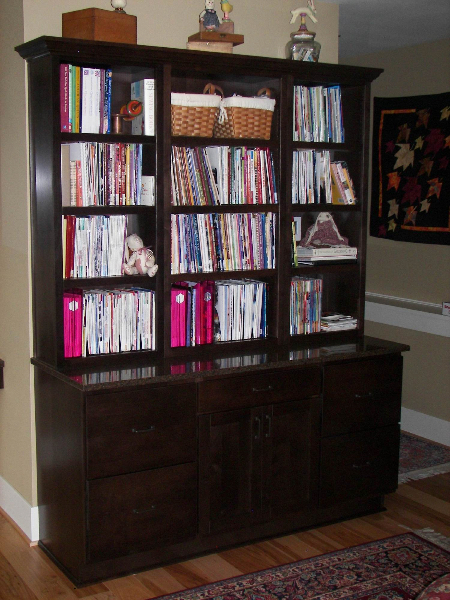 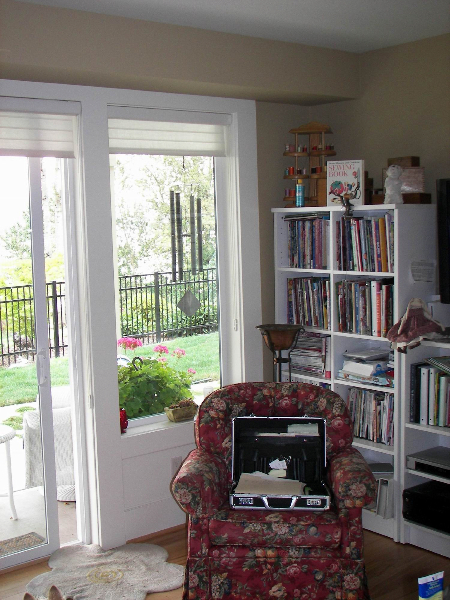 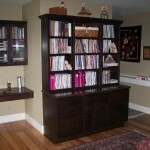 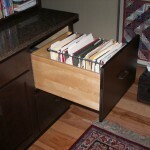 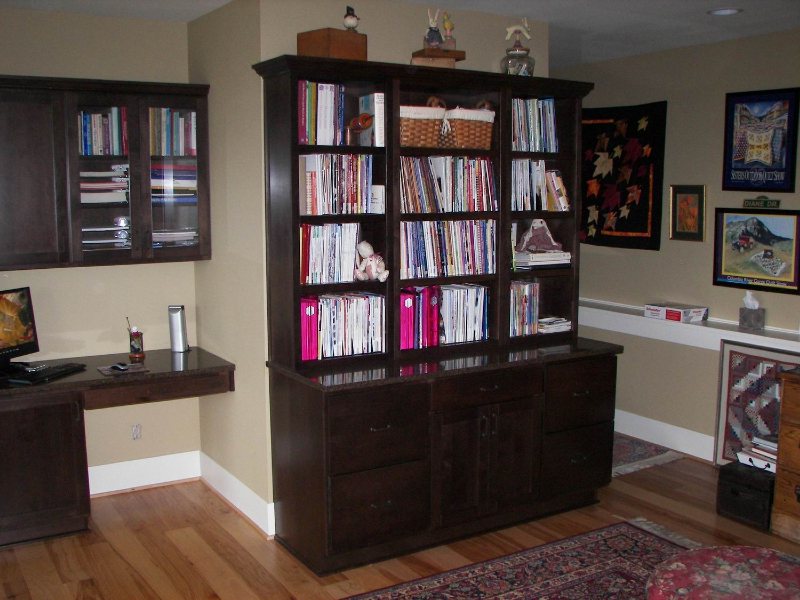 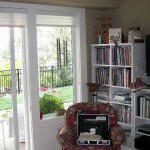 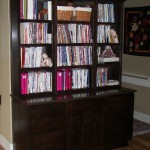 We also provide nice open book shelves and a glass door cabinet to show off her collection! 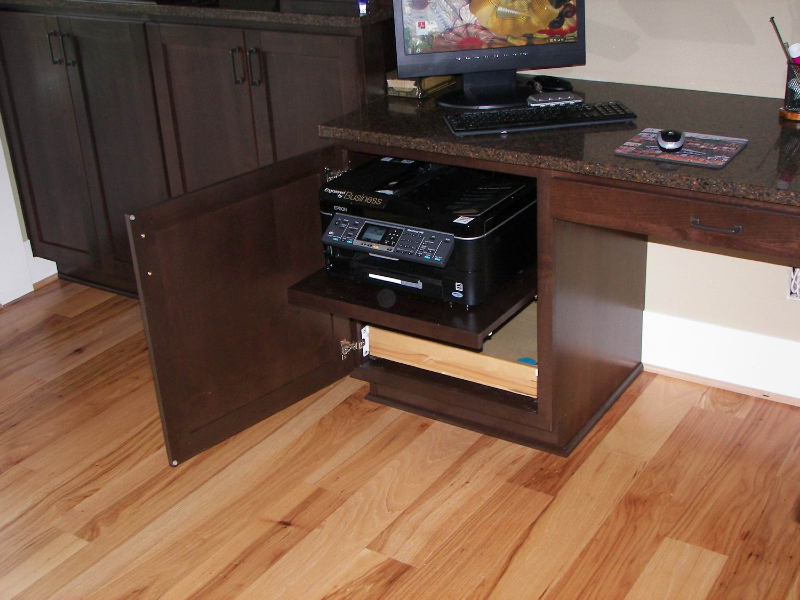 There is also a desk area for their computer! 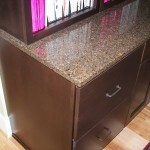 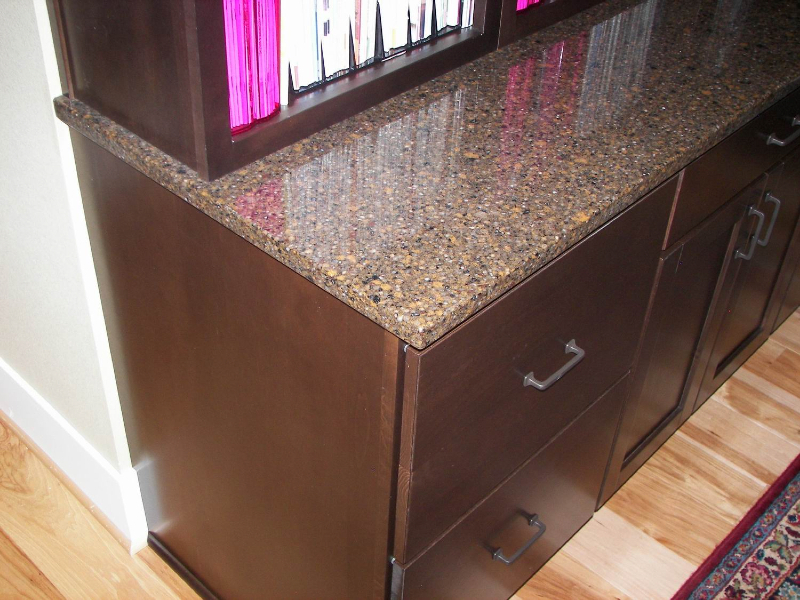 The counter top is quartz and complements the cabinets very nicely. 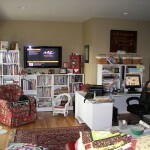 I think we created a very organized and friendly space. 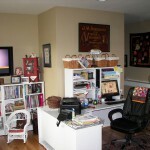 I would not mind paying my bills there.